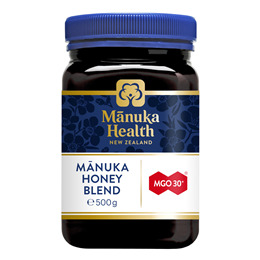 Manuka Health MGO 30+ Manuka Honey Blend is a blend of 50% Manuka Honey and 50% Rewarewa Honey. Honey is well know to have a wide range of health benefits and Manuka Honey is particularly prized for it`s potency and purity. Manuka Honey (50%), Rewarewa Honey (50%). 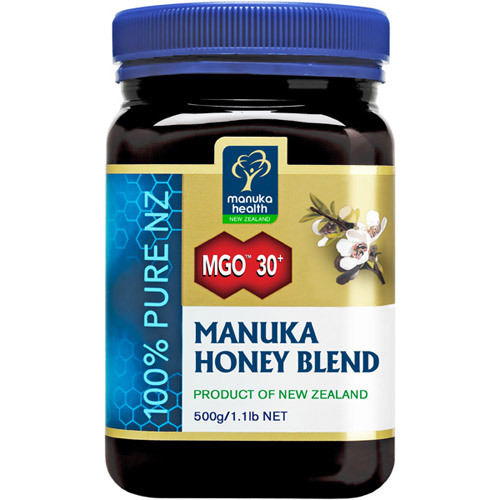 Below are reviews of MGO 30+ Manuka Honey Blend - 500g by bodykind customers. If you have tried this product we'd love to hear what you think so please leave a review. This is my Honey of choice and I start the day with sliced fresh lemon, sliced fresh ginger root, honey to taste, topped with very hot water, stirred and left to infuse for 6/8 minutes. Lovely, fresh and cleansing! Excellent service, easy to navigate website and fast delivery of amazing product.